Have you ever walked out with retail products and an expensive bill in your hands, wondering how in the world that happened? Well, studies find that we’re predictable, hence easily convincible. Sometimes, it only takes the touch of a product to land a sale. Handy, no? So what are you still waiting for to influence impulsive salon purchases? If you’re scared of sounding salesy, here’s why you shouldn’t. Impulsive buying represents a massive percentage of sales revenue. As consumers and clients, we are confronted with impulsive shopping decisions on a regular basis (oh how many times did I go out of my way for a quick Kit Kat bar because I suddenly *needed a break*). In the beauty and hair industry especially, impulsive salon purchases can be motivated by recommendations, education on a product and ultimately by the need of immediate self-well-being. Think about it. Do you shop the same way your best friend does? The answer is probably not. According to Paco Underhill (author of The Science of Shopping), people are keen about touching the product, mirrors, discovering bargains, talking to employees, recognition by the employees. But as each and one of us have different taste, we also have what we can call different buyer profiles. They’ll usually pick up a product and impulsively buy it. With this type of client, put the accent on educating them on your products. This behavior makes us more prone to buying more all at once. Not much to add here, you know them. 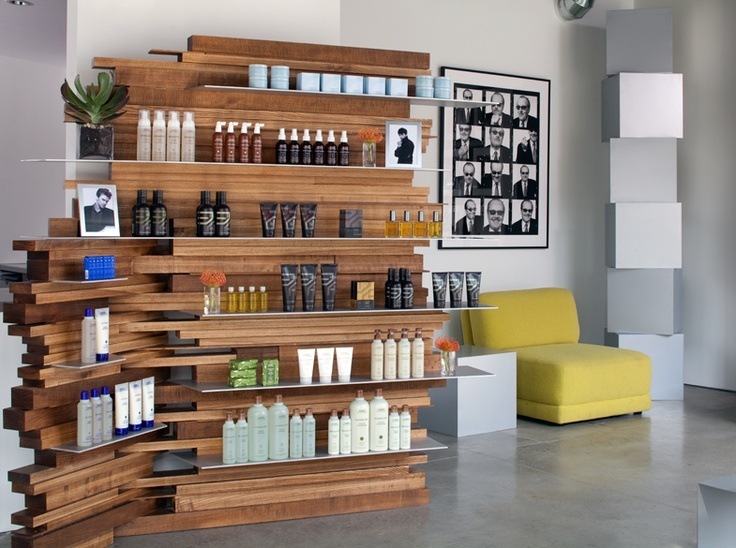 As a number one principle, your salon retail display should always entice a positive image. 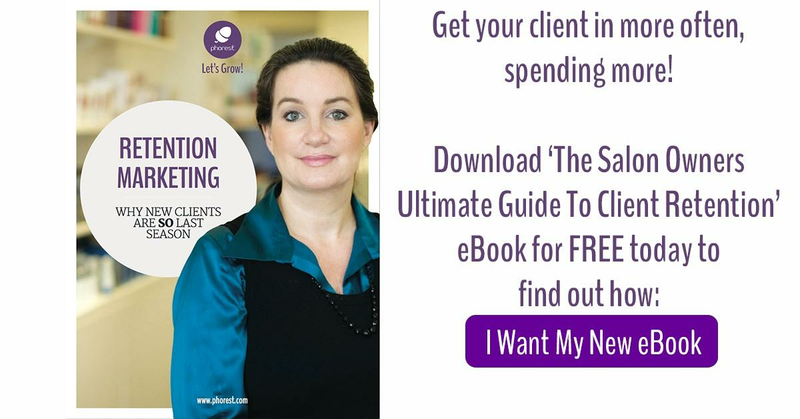 If it’s disorganised or messy, it can unconsciously throw off your client and have the exact opposite effect you want to have – aka incentivise salon purchases. Keep it to the right. Studies have found that most people tend to turn to the right when entering a business or store. Have a look at your retail display: which way do your clients logically look at first? Eye level is buying level. Remember, you want to encourage impulsive purchases, everything must be easy and thoughtless. Are you displaying a high-end retail product? Most retailers will say that the more expensive the product, the less you should have on your shelves. It tricks our brains. Makes us think of the item as exclusive and desirable, hence worth the price. 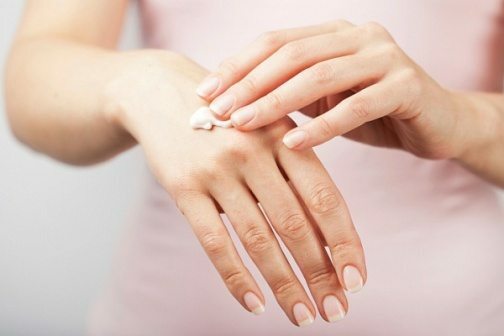 Put cleansers and exfoliants close to each other. This technique tends to act as a reminder of how your products go together and subconsciously put the idea in your clients’ minds that one does not go without the other. A 100% full and perfect looking retail display looks exactly that: too perfect. Who wants to disturb perfection? You can purposely hide some products if you have loads in stock, just to give your clients the impression that stock is moving. Another shelf manipulation technique is called “triangular balance.” It works on the idea that our eyes always tend to go to the centre of a picture. Play with your products’ placements to put emphasis on whichever one you wish. By planning your retail display strategically, you dramatically increase your chances of seeing impulsive salon purchases happen on a regular basis. 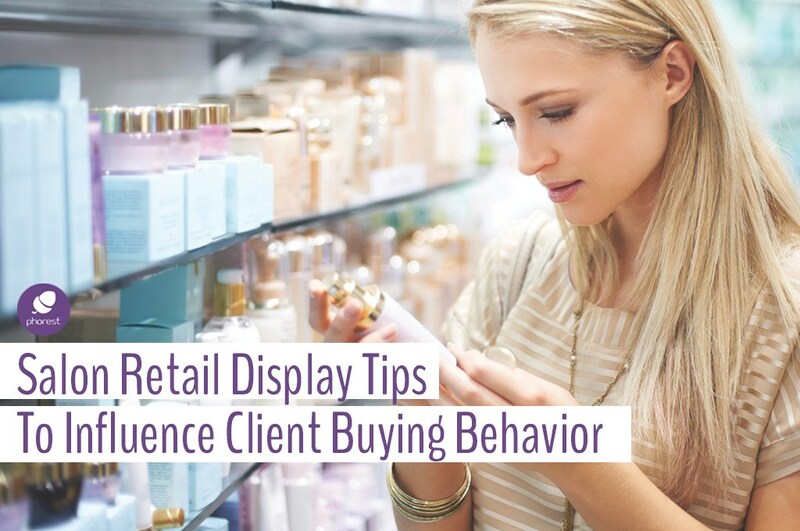 If there’s anything you should retain from this article, it’s that it only takes about 3-7 seconds for a client to form an opinion on your salon’s retail display. That’s why in a competitive market like the hair and beauty industry, you should engage in visual merchandising. Sometimes, the mere fact of moving products from shelf to shelf will have an enormous impact on salon impulsive purchases. For more salon retail ideas, click right here! Oh, and have you heard the news? Mary Portas, widely recognised as the authority on retail and brand communication, will be speaking at the Phorest Salon Owners Summit 2017! 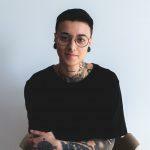 At the esteemed event, she will share her knowledge on building a productive culture in your salon to help create an active, enthusiastic team that is mindful of the tremendous opportunity retail represents.